The Wira has an attached (and same-named) restaurant that fronts onto the beach side of the main road through Senggigi but also backs onto the laneway to the beach (opposite Mascot Hotel), giving guests easy access to both the strip and a grotty stretch of Senggigi beach. The accommodation comes in three forms -- air-con, fan-cooled and dormitory -- all in motel-style building. While the air-con rooms are okay, it’s a slippery slope down from there, with the fan-cooled rooms being stuffy and rank. Air-con rooms have bean bags laying around out front, while the fan rooms have old mattresses -- we guess, should the Wira ever be at capacity, these would make for a social vibe, but, well, we’re not sure how often that would be. The restaurant is popular, but we didn’t try it. Overall this is a bit cheaper than Sendok and Central Inn, but if you can afford the extra for either, it would be a good move. 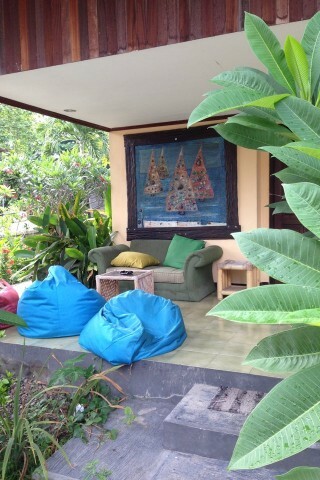 Check rates at The Wira Cafe & Guesthouse on Booking.com.